HIV is a virus that survive and lived off cells they attack the immune system people with HIV end up getting AIDS.AIDS Is another virus usually comes after the HIV takes out the immune system.The reason it is so deadly is because when the immune system is weak you will get bad infections that you normally wouldn't. 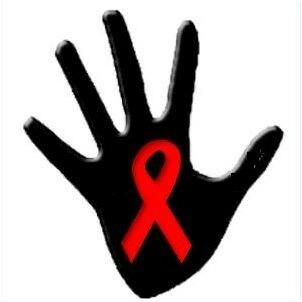 The red ribbon represents people who are helping to stop HIV/AIDS. Scientist are so close to figuring out a cure for HIV/AIDS.Will you help them.These people help get them the money so they can continue researching.Also they help to inform people in Africa how to keep them from having HIV/AIDS. There is 34 million of kids without parents because there parents died because of HIV/AIDS.In the last ten years parents that died of HIV/AIDS rose from 3.5% to 32% and will increase as the des ease spreads.Also the epidemic is deepening poverty in many communities.